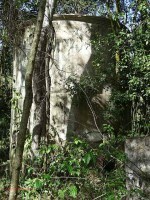 The Hacienda Fortuna already operated in 1834 when it was owned by Manuel Antonio del Toro (1776-1836) and Esteban Domenech, also owner of the nearby Hacienda Unión . By 1841 it was owned by Domenech & Guilbee, a partnership formed by Esteban Domenech and Jaime Guilbee-Fenerign ( -1878), a British Immigrant who came to Puerto Rico in 1821 and established residence in Ponce in 1829. Guilbee was hired by Domenech and del Toro to install a wind mill at the Hacienda Fortuna, which mill proved to be inefficient. History is not clear if he was retained as administrator but after the death of Manuel Antonio del Toro in 1836, he married his widow Rosa Loudon-Gouden becoming 25% owner of Hacienda Fortuna, participation he later increased. Beginning in the 1850s and until 1873, Hacienda Fortuna was owned by Manuel Ferrer, owner of haciendas Cintrona, Potala and Pastillo in Juana Diaz, and Guilbee. 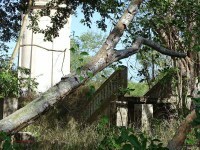 It was acquired in 1877 by Juan Forgas Bayo (ca. 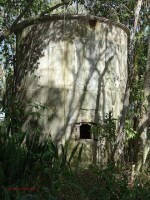 1810-1885), a Spanish immigrant from Barcelona who also had ownership in a Spanish shipping company and whose legal representative was his nephew José Gallart Forgas (1838-1898), also a Spanish immigrant who owned Reparada Sugar Mill in Ponce, named Reparada in honor of his mother Reparada Forgas Bayo, Hacienda Luciana , Hacienda Cristina and Hacienda Serrano . 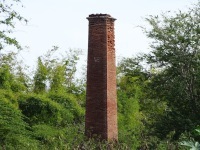 Today, the only remains from Fortuna's days as a hacienda is the brick smoke stack pictured below, which is approximately 800 m South of the smoke stack of the Central Sugar mill. 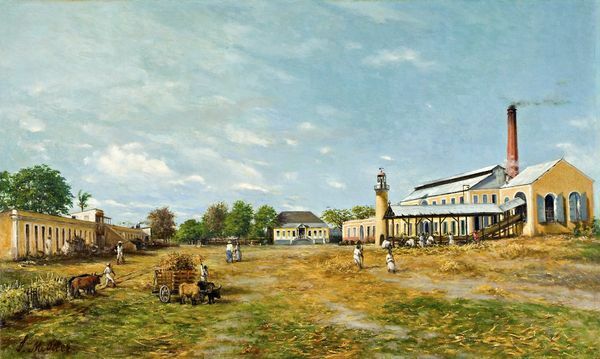 In 1877 under Gallart's leadership Hacienda Fortuna was converted into a Central Sugar mill. It was Gallart who in 1885 commissioned Francisco Oller , a very well known local artist, to do the oil painting of Fortuna shown below, which is on exhibit at the Brooklyn Museum . Upon his death in 1898, Gallart heirs who included his second wife Mercedes Folch Parellada who he married after the death of his first wife Julia Dubocq Roux in 1885, continued to operate the sugar mill until 1904 when it was acquired by the Compagnie des Sucreries de Porto Rico owned by a group of Frenchmen headed by M. Manoury whose name was universally well known in the industry and which group included Mateo Luchetti Tristani, the son of Corsican immigrants and first cousin of Mateo Luchetti Piccioni owner of Ingenio Grande/Quebrada Palmas . By 1905, its French owners had installed the first portable track and light engine in Puerto Rico. They also were the first mill to use the Naudet Process which combined milling, difusion and clarification in one operation. The process though, appeared not to be successfull due to high fuel cost. 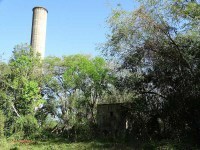 In 1909 Fortuna was acquired by the South Porto Rico Sugar Company, owners of Guanica Centrale for $1,750,000 which at the time was the biggest sugar estate transaction in Puerto Rico. The purchase of Fortuna turned out to be a disaster and ended up with the closure of Fortuna in 1914. 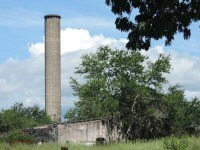 Its sugarcane was processed at Guanica Centrale until 1921, when as a result of labor disputes, they were forced to sell Fortuna's sugarcane to Central Aguirre . Its machinery was dismantled and shipped to the Dominican Republic where it was installed at Central Romana sugar factory. 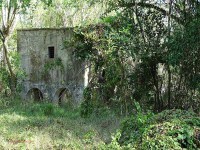 Fortuna was only about 2 1/4 miles from Central Mercedita which was a much larger sugar mill. 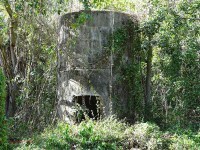 It was also only about 1 1/8 mile from Central Boca Chica both at one time owned by the Serrallés family. We have no production data for Fortuna but understand its best production year was its last year in operation; 1914 with 10,000 tons of sugar.